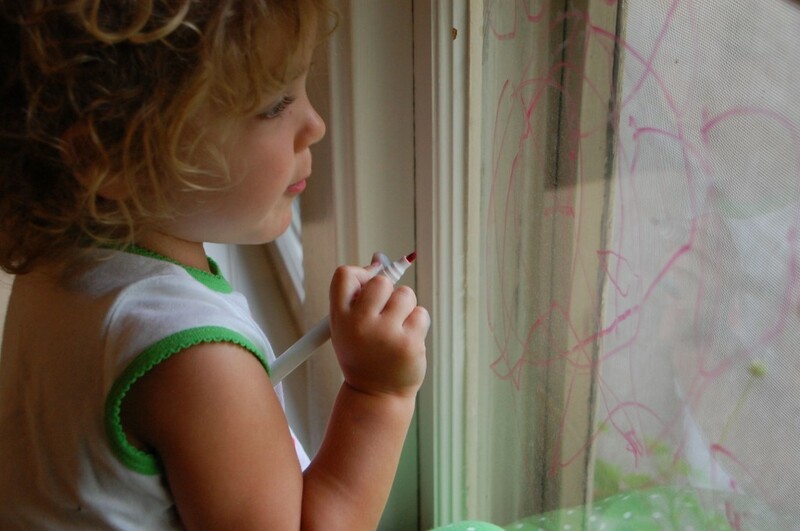 Why use paper and crayons when you can draw on windows with markers? My husband invited us to visit him during a class he’s teaching on the intersection of design and improvisation (oh how I wish I had time to take this class!). He brought N a dry erase marker to keep her occupied. Can you find little sister up there? 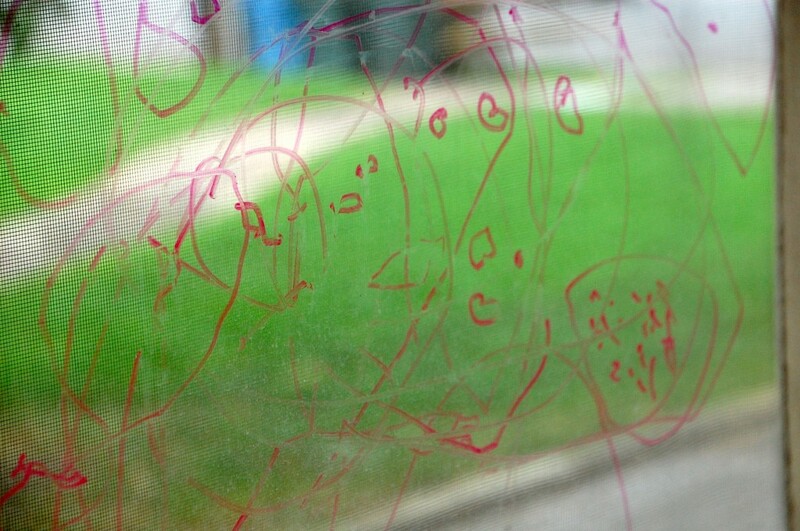 He led her to the large sliding doors, and suggested that she could draw on them. Lucky kid! 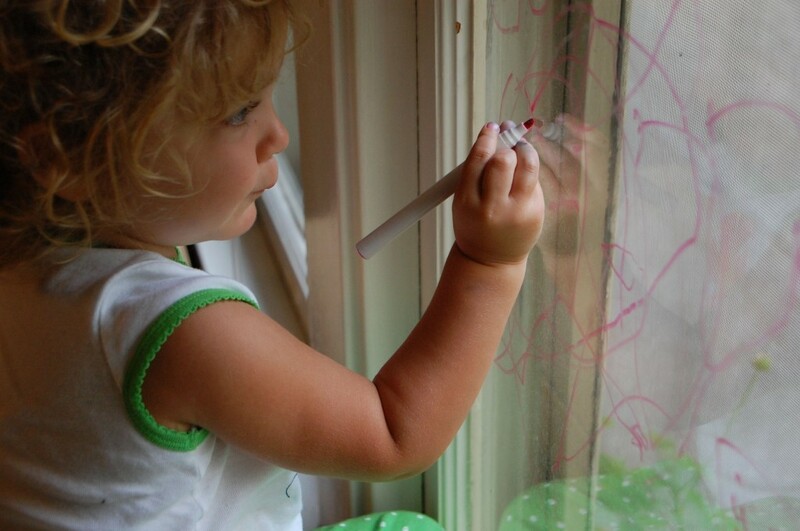 A couple days later, just before breakfast, we found N sitting on our dining room table, drawing on the windows. Gasp! It was all good once we replaced the magic marker with a dry erase marker. Thankfully no Sharpies were involved! Thinking about her next drawing move. Idea in mind, she was back to the window. Sitting back to inspect and appreciate the handiwork. 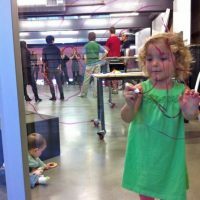 This activity is great for pushing the envelope of material possibilities. 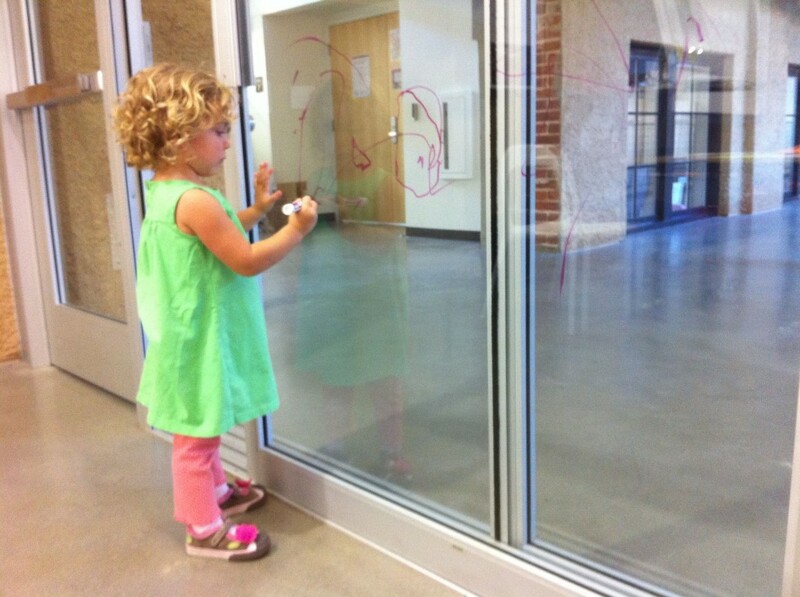 All you need are a dry erase marker and a good-sized window. 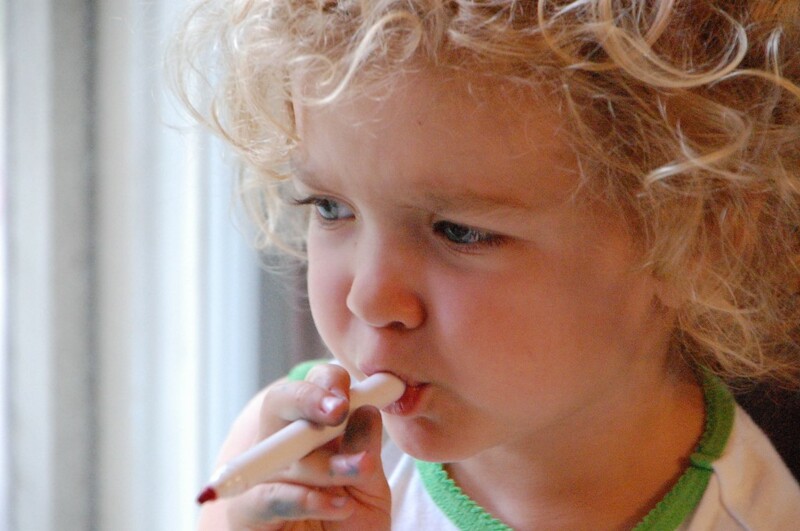 Dry erase markers can stain porous surfaces, so be sure to give clear instructions about where the markers can be used. 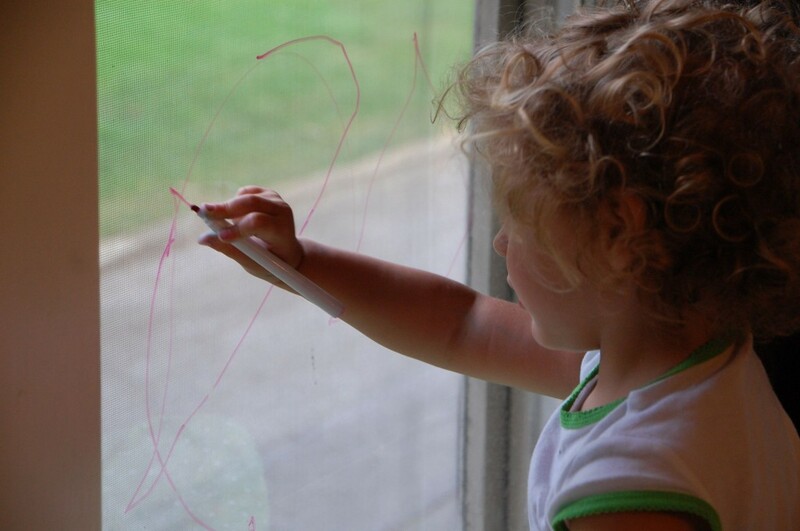 Windows can be wiped clean with a soft rag or cloth. 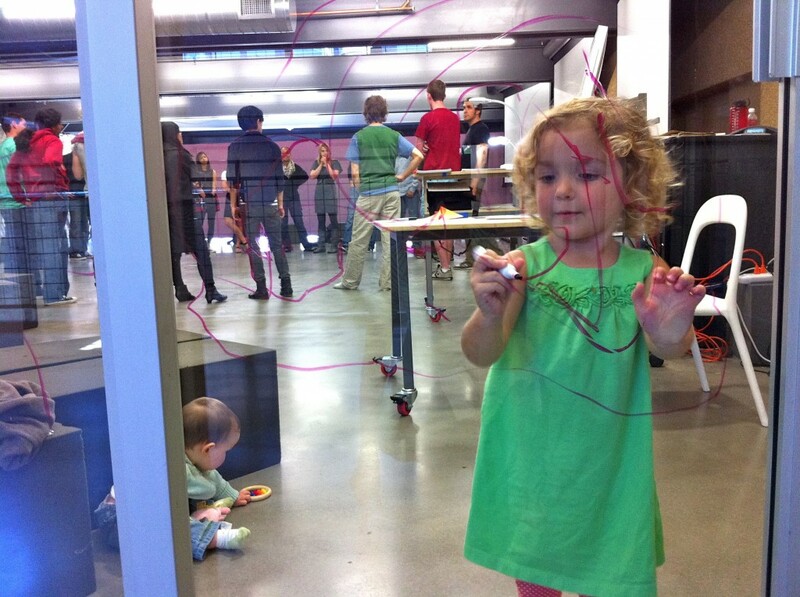 For more on white board drawing, visit this related post: Wonderful Whiteboarding.